The prime minister of Busoga Kingdom Joseph Muvawala, has asked parents in the sub-region to encourage their children join patriotism clubs to help boost their mental and physical abilities. Mr Muvawala, who also doubles as the executive director of the National Planning Authority (NPA), was speaking at a ceremony organised by Jinja Secondary School Patroitism Club at the school this morning. The ceremony aimed at recognising students who have undergone patriotism training and contributed to the development of the club. 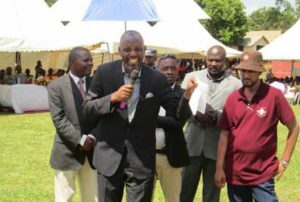 Mr Muvawala attributed the high corruption levels in the country to lack of patriotism among the elderly in the country and urged the students to shun all activities that bring the image of Busoga sub-region and the country into disrepute. The school’s head teacher, Ms Hope Nyago said the activities that the students involve in during patriotism training help them not only to keep fit but can also be used for self defence.